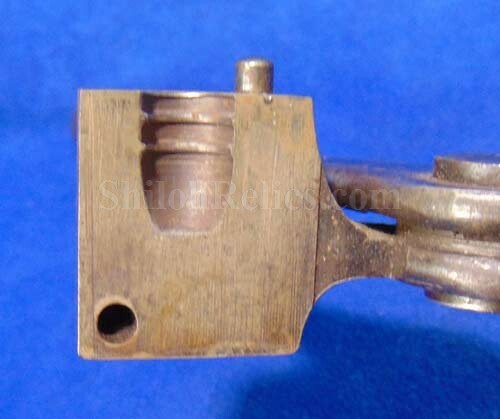 Here is a neat bullet mold that is has a lot of character. 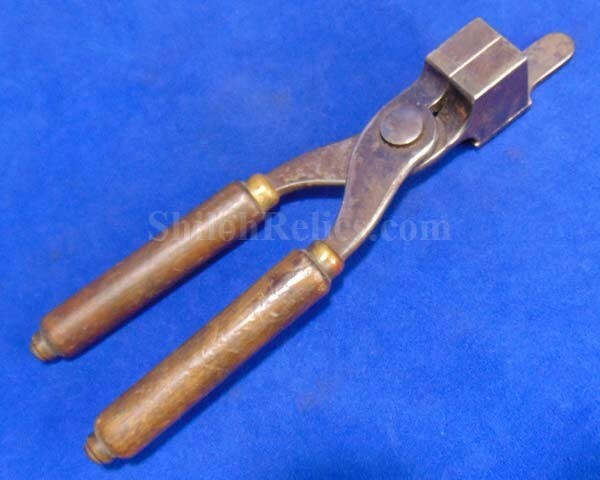 It is the iron bullet mold for casting the .38 caliber bullet for a Winchester rifle or carbine. 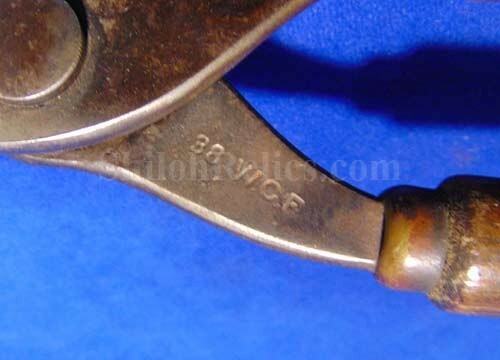 It has the caliber designation on the top of one of the legs. The mold measures 9-1/4 inches in overall size and still has the original wooden handle intact with a nice look to them. The mold still opens and closes and is complete including the sprue cutter on top. 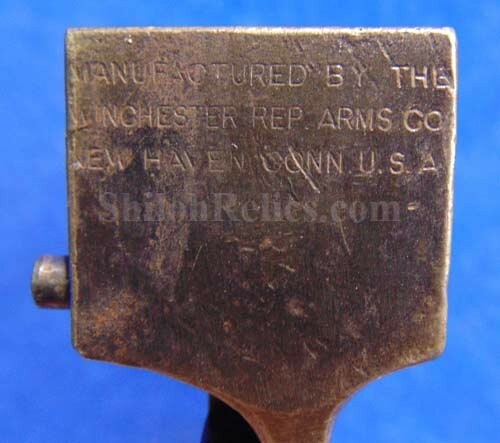 On the side of the body it has the maker marking that reads "MANUFACTURED BY THE WINCHESTER REP. ARMS CO. NEW HAVEN CONN U.S.A. ". 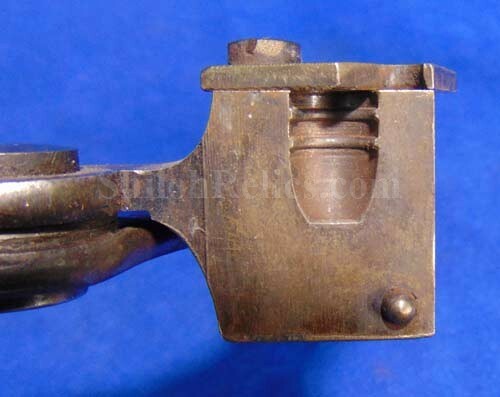 This is a cool late 1800s bullet mold from the Winchester Company that doesn't cost a fortune.